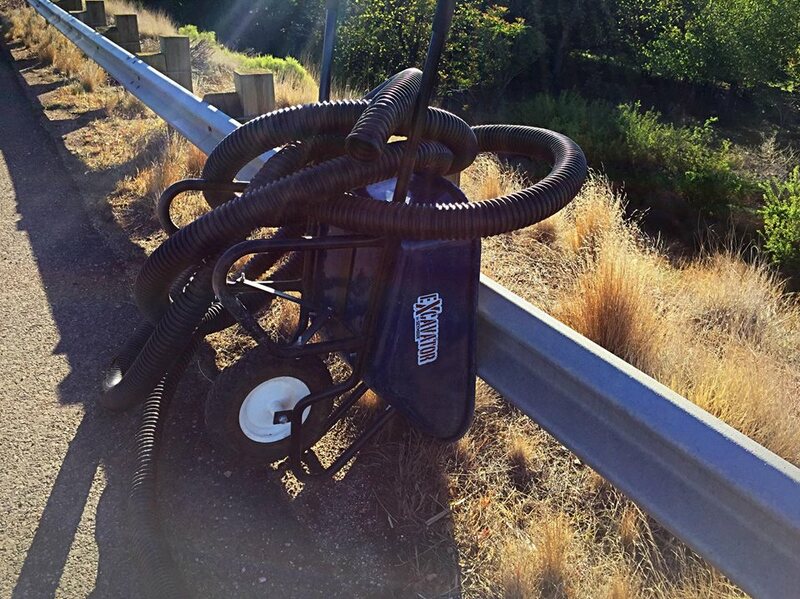 WASHINGTON CITY — A wheelbarrow and some tubing created a hazard on Interstate 15 Tuesday after falling off someone’s vehicle or trailer, resulting in a two-vehicle collision on the Interstate as motorists swerved to avoid the debris. 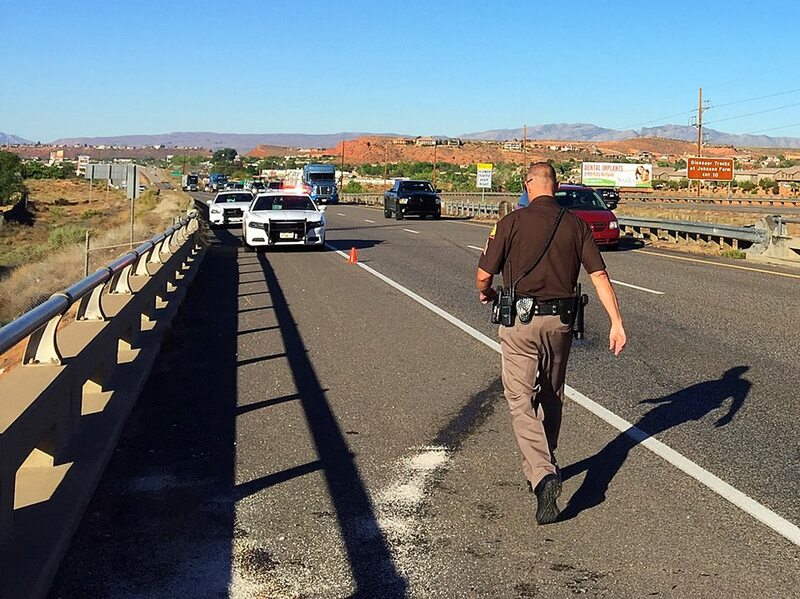 At approximately 8:20 a.m., traffic came upon the debris on northbound I-15, at milepost 12, directly between the two Washington City exits. 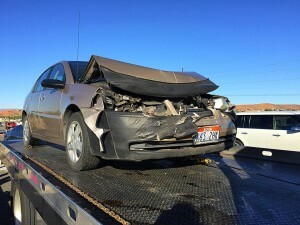 Drivers began hitting their brakes and trying to swerve around the wheelbarrow, Utah Highway Patrol Sgt. Jake Hicks said. 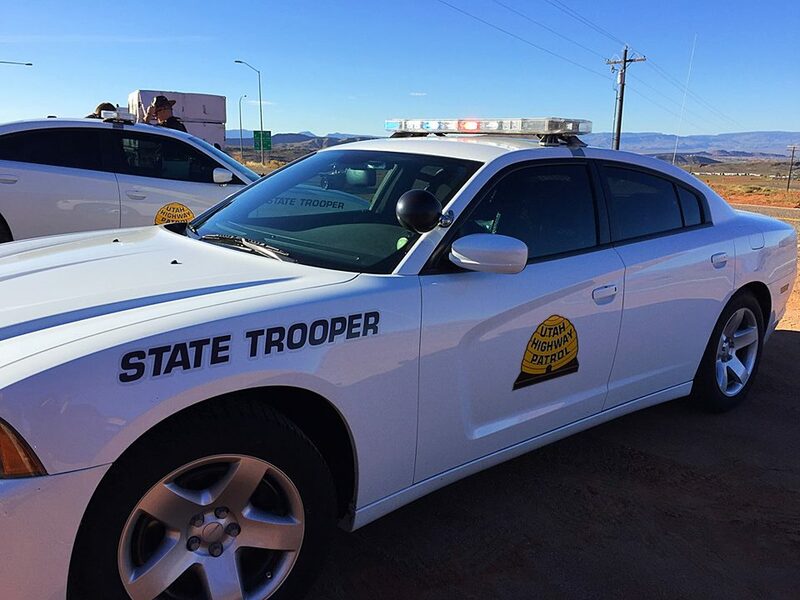 A 58-year-old man from St. George, driving a white Dodge Charger, was in the left lane when he saw the debris and traffic stopping, Hicks said, so the man braked and swerved to the right. 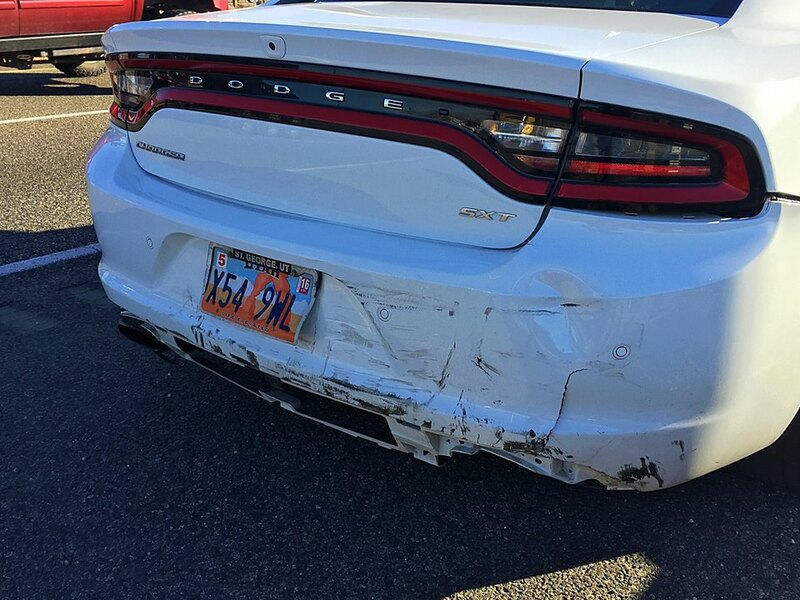 At that same time, a 28-year-old man from St. George was traveling in a gold Saturn behind that Dodge Charger. Both men were wearing seat belts and no injuries were reported as a result of the collision, Hicks said. As this report is published, Hicks said it is unknown who lost the wheelbarrow on the freeway. Neither of the motorists involved in the collision were issued a citation, Hicks said. 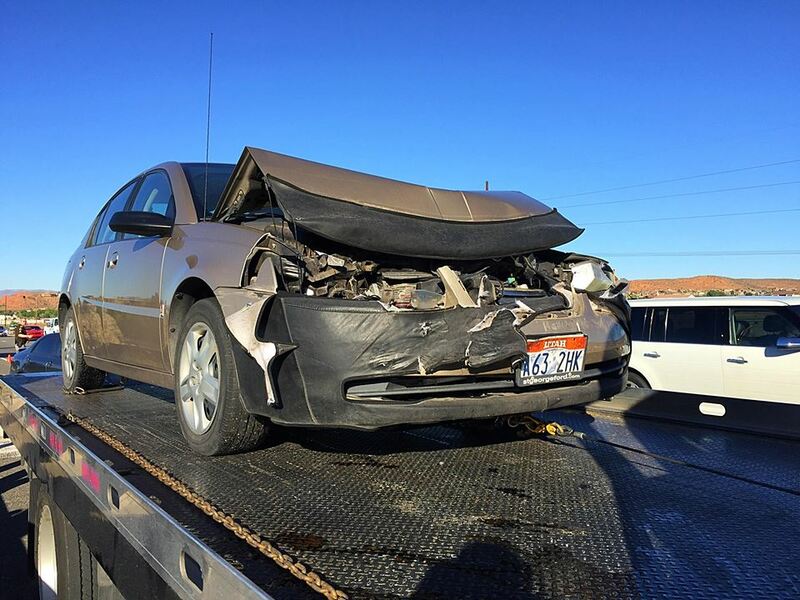 The gold Saturn was rendered inoperable as a result of the collision and was towed from the scene. 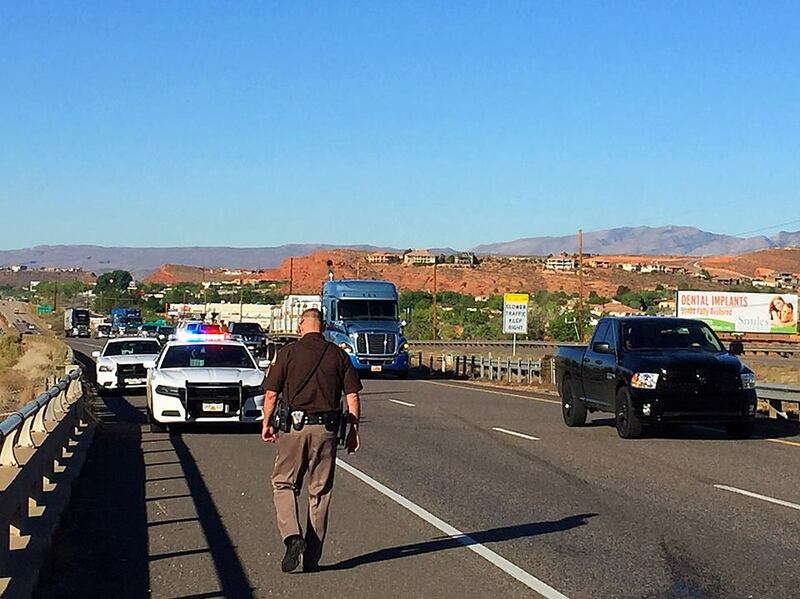 Traffic was minimally impacted as both interstate lanes were kept open.